Henk Brus was born into the tuna business as the son of a canned foods’ importer. In 1987, after finishing his study in psychology, he started work in the food trade sector. From 1992 to 1998, he was the vice-president of a leading multinational canned fish importer in the Netherlands. In 1998, he founded his own company, Atuna bv – a global tuna trading company covering the complete vertical supply chain. That same year he also launched an internet blog, Atuna.com, which has since become the world’s leading internet portal for tuna news, and the organizer of this conference. Atuna.com has now become exclusively a media company. Since 2014, Henk is only involved in Atuna B.V. as a shareholder. Henk has been a speaker and co-chair at several major tuna conferences over the last 20 years. In 2000, he was one of the co-founders of the World Tuna Purse Seiner Organization (WTPO). In early 2007, Henk founded a new company, Sustunable bv, which seeks a “Responsible Business Approach Towards Tuna Sourcing,” and was the pioneer in the marketing of FAD-free tuna; in the meantime supplying over 15 supermarket chains throughout Europe. In 2010, Sustunable was approached by the WCP’s eight PNA nations to become their J/V partner in the company Pacifical cv, in order to globally market PNA’s MSC sustainable certified free school skipjack and yellowfin tuna under the “Pacifical” co-brand. 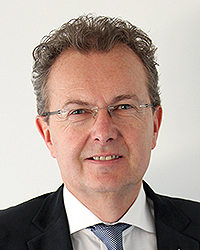 Henk has also been appointed by shareholders as the Managing Director of Pacifical cv.